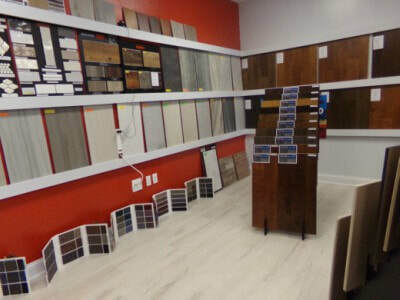 ​With 20+ years of experience in the flooring industry we learned that if you want happy customers you have to offer them the best quality flooring at affordable price. That is why we offer a free consultation or free estimate, to help you determine what flooring option best fits their needs. ​Solid hardwood is made from a simple piece of wood plank. It can be easily customized and if needed easily re-sanded. While solid hardwood is made from a whole piece of wood, the engineered hardwood is made of several (3-5) layers of wood pieces laminated together. The grains of different layers are running in different angles. Engineered wood floors are ideal for living rooms, entryways, dining rooms, bedrooms, kitchens, foyers. You don’t have the time to come into our showroom? Fill out the formon this page or or call us at 770-558-6576 and we will schedule a time to come to you with some of the most beautiful carpet samples to help you choose the one that fits your needs. When you are ready for your new carpet and you have old carpet on your floors we offer carpet removal service if you decide to work with us. ​Call us for a free estimate today. Click here to call us for a free estimate today. ​With our unique solutions of ceramic, stone, and glass tiles we can help you customize your home with unique designs for flooring, fireplace, countertops, backsplash, showers and patios. For Hardwood Floors Plus this isn’t just a slogan it is the truth!